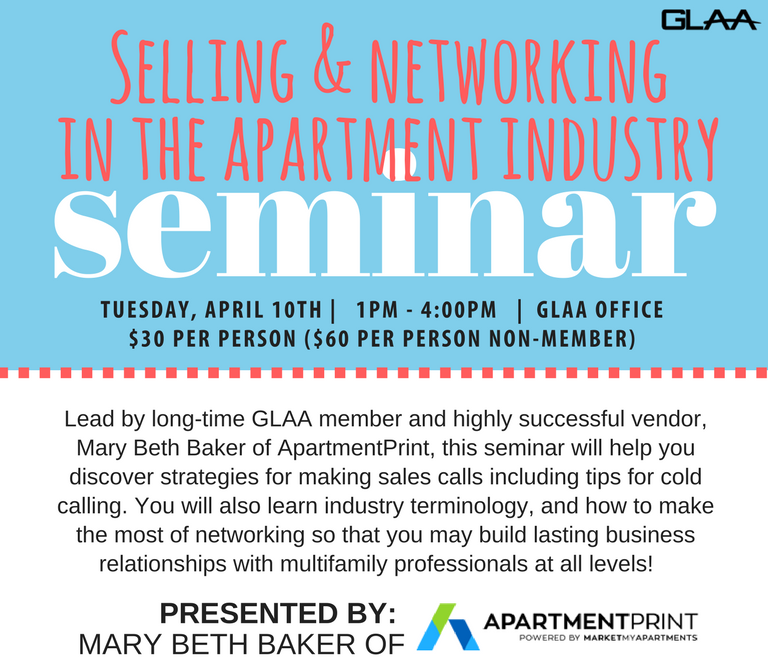 Join Mary Beth Baker of ApartmentPrint for this great seminar on Tuesday, April 10th here at the GLAA Office! The deadline to register has passed. | If you have questions, please contact the GLAA Office.